Welcome to my blog! Here you will find reviews of the latest movies, as well as general movie discussion and predictions. Make sure to have a look around and feel free to leave some feedback! You can also find me talking about movies on Twitter at @AngusMcGregor11! As TMNT 2 started, I was fairly optimistic. I don't mind the first film and don't get the total hate some people have for it. The trailers even excited me a little with their being moments that stood and got me looking forward to the film. This soon all went out the window when Michael Bay left his mark on the film as Megan Fox came out in a skimpy schoolgirl outfit leading me to fear for the worst. The track record for this hasn't exactly been great so you can't blame me. 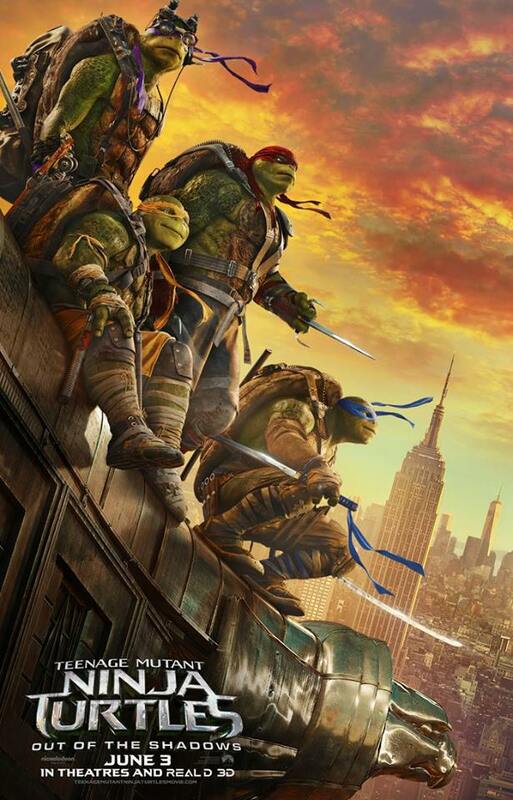 When the Turtles returned to the big screen in 2014, it didn't exactly get the reaction it had hoped for. Sitting at 22% on Rotten Tomatoes and disappointing fans worldwide, the turtles had a lot to make up for in its sequel. A lot of weight was already on the shoulders of the film to succeed. And at times it really did. It had built upon what needed fixed from the first one. However, it most definitely has its negatives that weigh it down as well. One of the biggest parts of the film that they did well was building on the turtles. In the first film, there were glimpses of how great they could be. Unfortunately it was only really in short bursts and held back the true potential that the turtles had. Thankfully in 'Out of the Shadows' they do continue this and it is very entertaining to watch. From the turtles joking around and playing pranks on unsuspecting humans it brings out the true characters within our heroes. The film can definitely take pride with making the turtles enjoyable to watch and also, for making them the main focus rather than on boring humans. Speaking of the humans in the films, there isn't really much to say about them that is great. Megan Fox is just the same character that she always seems to play. 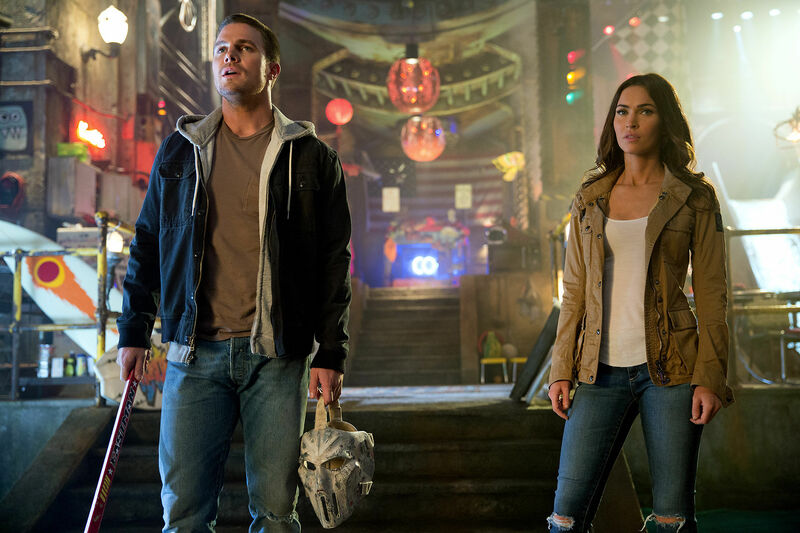 Stephen Amell as Casey Jones was disappointing to say the least. He was nowhere near cool enough and that may be down to him not being given enough time to do things that will get the audience interested in the character. For fans of the franchise this won't be a problem due to Jones being a fan favourite. However for casual viewers, it is just another guy around the turtles. The film also used most of his time to try and flirt kind of with Fox's character April O'Neil which isn't good to watch at all. The film used Will Arnett pretty well though only using him for short moments to try and use his comedy. He wasn't as big a part as in the first one and didn't spend a lot of time on screen which did benefit the film. There are certainly some great moments throughout the film to again boost it. The scene with the aeroplane which then leads to the turtles facing off with Bebop and Rocksteady- who we'll talk about later- was a great scene with enjoyable moments and action. The action throughout is fairly good and isn't hard to keep up with creating an enjoyable viewing. The action doesn't disappoint and is one of the better parts of the film. Shredder is back for TMNT 2 and thankfully, he is a lot more different. He no longer looks like a transformer covered completely in knives but is now an actual human character who has trained ninjas at his command showing his power and control. It did seem to be setting up for a big confrontation between Shredder and the turtles with Shredder possibly looking for revenge. 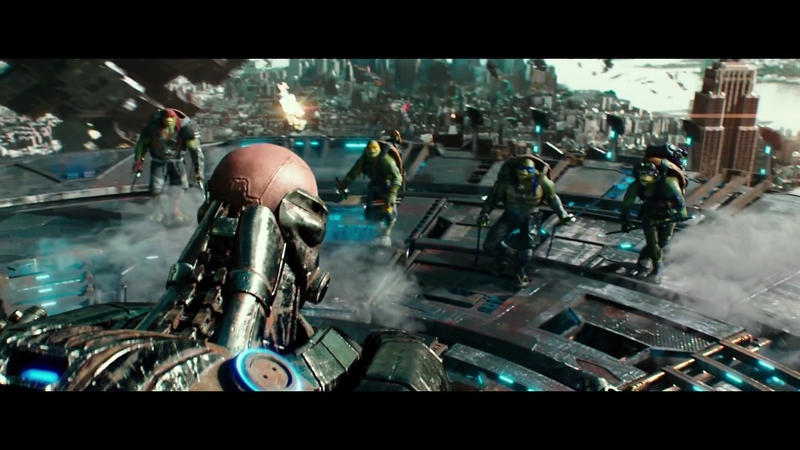 However the film shoves Krang in quite abruptly. This happens early on and then Krang disappears for most of the film,, only to show up again at the end to become the villain for the turtles to face. It wasn't a good enough of a build up for what seems to be leading up to one of the most powerful villains in the franchise. Two villains in particular that succeeded for me were Bebop and Rocksteady. These two were a whole load of fun throughout the film as two brawn and no brains criminals who have their lives changed drastically. Stephen Farrelly- also known as Sheamus- and Gary Anthony Williams deserve credit for their work as they hit the comedic notes very well and made two characters that could've easily been flops into some of the most entertaining parts of the film. The ending really falls flat and this is all down to it being almost a carbon copy of the first film. It was quite unbelievable seeing that they chose to do the same ending at the second chance of trying to establish this universe and to create a great ending. I have no idea to why they decided to do this and you do sit through the finale shocked that they have rehashed the ending from the first film. 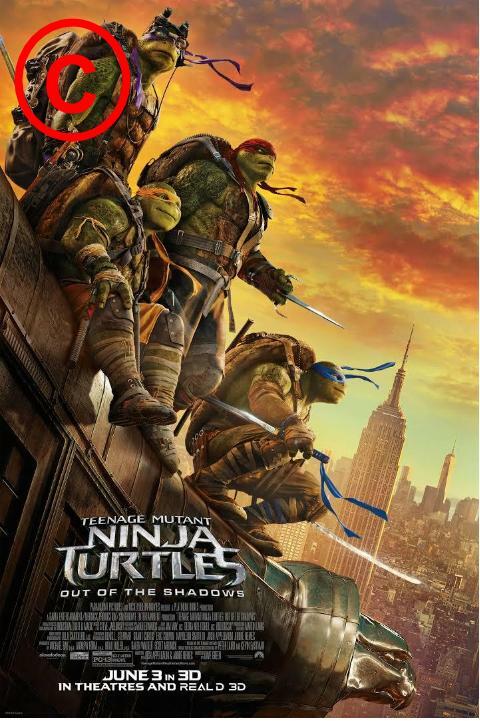 A step forward for the TMNT franchise. There is potential for these to be great fun and I really hope it eventually gets there. Unfortunately it just doesn't quite happen in this instalment. So have you seen TMNT 2? If so what did you think of the film. I hope you enjoyed this review and found it useful for if you were planning on seeing it. Once again thank you for reading my review, it is much appreciated!